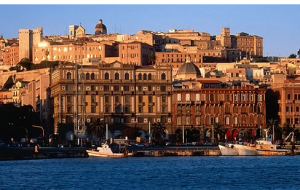 Cagliari is the most important city of Sardinia, with a metropolitan area of about half a million inhabitants. The capital of the island has a soul consisting of a millenary history, culture, nature, beach tourism and nightlife, an attractive mix that fascinates the visitor, charmed by the views of Castello, the ramparts and the Roman remains, the Sardinian sea, as well as by the dynamism of a surprisingly lively city. 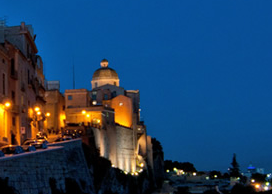 Cagliari offers accommodations of any price and type. Bed and breakfasts, from the Most Essential to the Most Economic and super comfortable, are concentrated in the areas of the town center, the seafront and the Castello area, as well as apartments for rent. All of them are close to the conference location. In the City Centre and on the Coast you can find a 4 or 5 star hotel or a resort. For ones who prefer to spend less, cheap accommodations are available at some selected B&B or at the Youth Hostel. 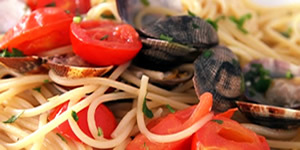 Intense flavours, gentle fragrances, a wonders to one’s eyes, wherever you choose to eat, Cagliari is a taste temptation. Here the art of kitchen is a skillful union between tradition and innovation. A delicious pasta dish made with sea urchins, a fish soup, the suckling piglet served on a bed of fragrant myrtle, or a tasty “fregola” with clams, these are some of the unmissable dishes which make Cagliari unique, aromas of a land accompanied with superb wines such as “Vermentino”, “Cannonau”, and the bitter herb distillates such as myrtle. It is possible to choose among different “trattorie” in Marina district, cosy restaurants in Castello, the high part which overlooks the city with its ramparts or a restaurant with a view on the sea (Poetto beach, Calamosca or Sant’Elia). In addition, Cagliari is known for its Civic Markets. The largest covered market in Italy is the market of San Benedetto, appreciated, together with that of S.Elia, for the quality and the wide choice of fresh fish.